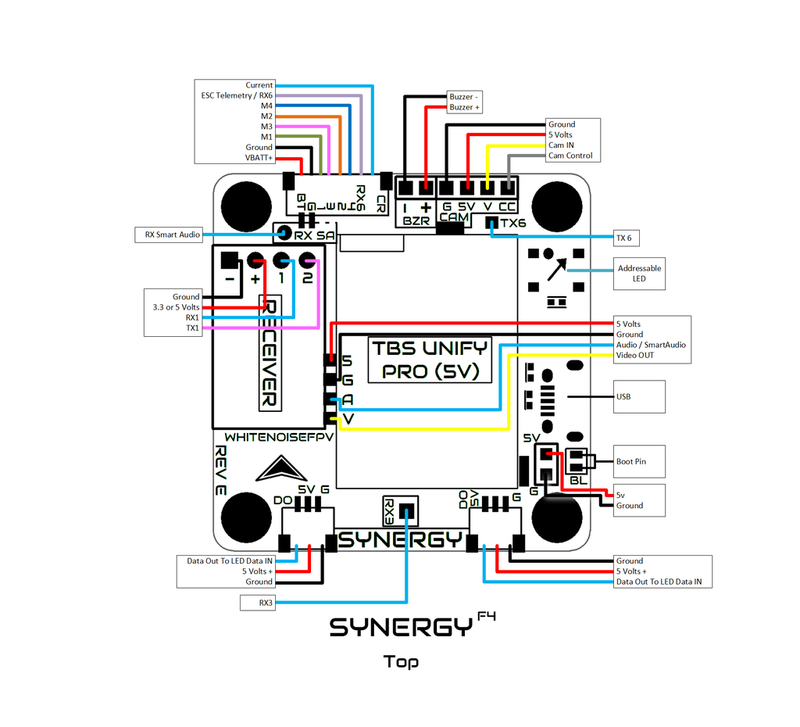 The SynergyF4 was designed as an upgrade to your standard F4 flight controller with a focus on cleaner and easier building, especially using Unify V3 and Nano VTXs and XM+ and Crossfire Nano receivers. 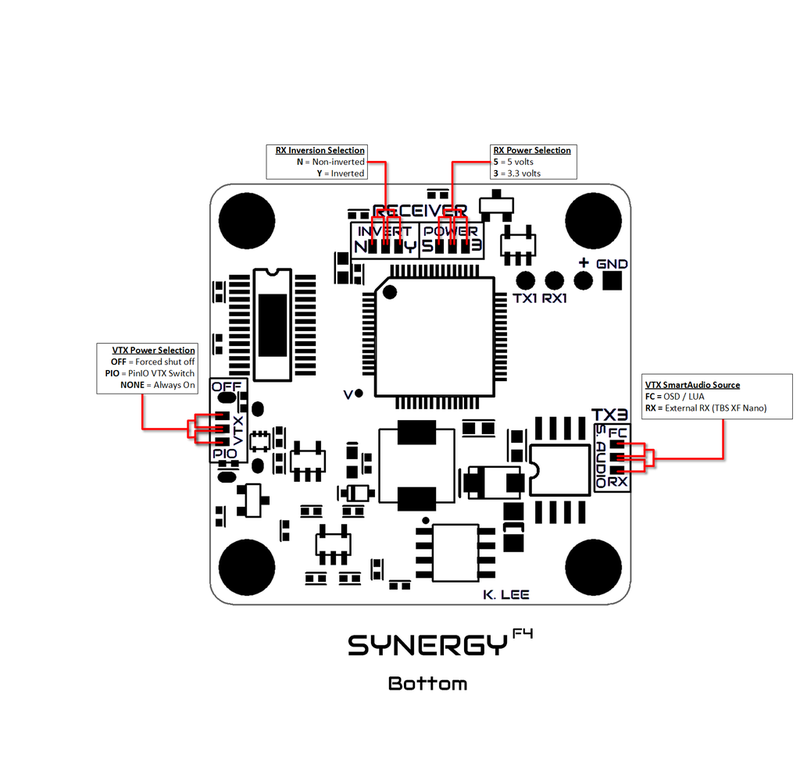 The SynergyF4 was designed as an upgrade to your standard F4 flight controller with a focus on cleaner and easier building. A TBS Unify Pro V3 or a Unify Nano can be directly mounted to the surface of the board with no tape or zip ties required. In addition, the FrSky XM+ and TBS Crossfire Nano can be directly mounted to the board for a quick and easy build process. Solder bridge selectors on the bottom of the board allow for a wide range of components to be used with the FC. Note: This FC is still compatible with any receiver and video transmitter. Simply connect the rx/vtx with wires to the correct pads. Direct mounting for Unify Pro (5V) and Unify Nano (with adapter). Receiver: 3.3V or 5V selectable. Inverted and non-inverted selectable receiver input. Added 22uF to the 5V supply. 0.1uF on 3V proc supply. Reverse protection diode on vbat. Added pinout silk on bottom side of the board for the connector. 10k pull down for SmartAudio Lite (Unify Nano).